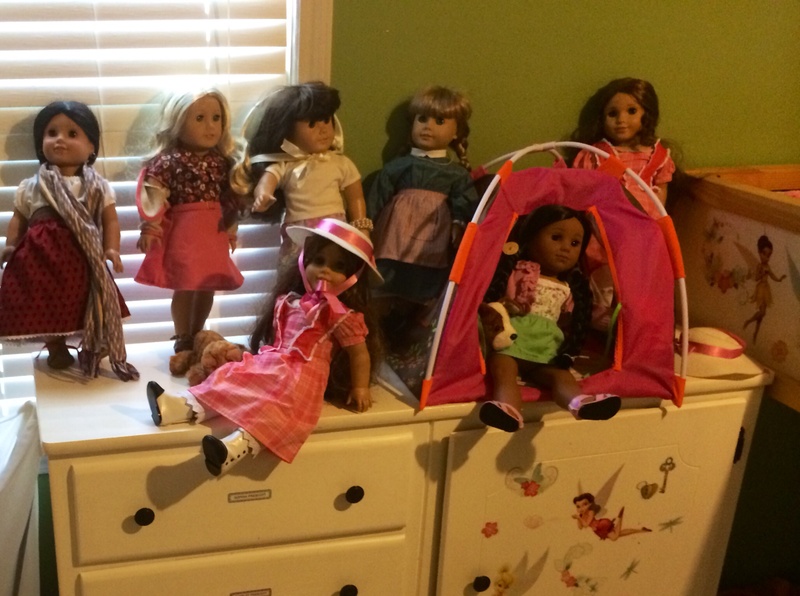 A few people have recently asked me about American Girl dolls. I have been a fan of the brand since the 80’s when I first laid eyes on a glossy “Pleasant Company” catalog. I loved that the stories and dolls were linked together with authentic outfits and accessories. Even though I didn’t own my first doll until age 12, I fell in love with the books and the magical world so much sooner. In the early days of AG, there were only three dolls: Kirsten, Samantha and Molly. They represented three different eras in our country’s history and to this day I remember their stories (and the history woven throughout each book) with so much fondness. I re-read some of those books 20 times! Later in the 90’s, the company evolved into “American Girl” and the line of books expanded into dozens of titles, from cookbooks to mysteries to historical guides. Once the Girl of Today dolls were launched, options were expanded and the brand gained popularity. These toys aren’t just for kids. Now American Girl fans of all ages build entire miniature worlds for their doll collections and proudly upload them for the cyber world to admire on YouTube. Book clubs, fan forums, DIY sites and doll trading groups abound. As a mom, I’ve been thrilled to introduce the book series to my girls and we have enjoyed reading them together. The books contain the perfect mix of fact and fiction and they don’t sugar-coat reality too much. American Girl has gently introduced my children to war, poverty, death, and child hunger. It’s opened up a lot of valuable conversations for us and sparked interest in historical events that otherwise might not have grabbed our attention. If you are new to American Girl, it can be pretty overwhelming. I feel that it’s always best to start with the books. The AG world can be quite a money pit, but libraries are well stocked with most of the titles. Explore some of the books with your daughter and see if any particularly appeal to her. Relate the books to places you have visited or people you know. Then consider your first doll purchase as an investment. The dolls are expensive, yes, but they are very nice quality and can even be saved as heirlooms. 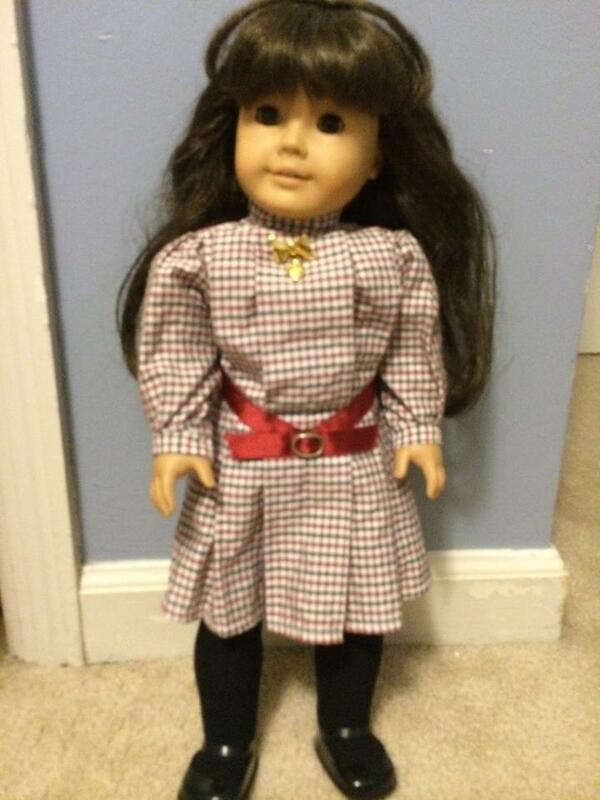 I still have my first American Girl doll and she is in lovely shape. In fact, she could be sold today for more than she cost in the 90’s. My twins just turned nine and they love playing with their dolls. They build tons of crafts for them (think upcycling milk cartons into doll-sized lemonade stands), write stories starring their favorite characters, and collect random miniature items as doll “treasures.” I love that American Girl helps them savor every bit of childhood as they grow (far too quickly) away from it. I love that it teaches them to value our country’s history. I love that it helps us relate to each other. I really love that American Girl stays true to its original purpose: celebrating girlhood. This entry was posted in Family, Leah Prescott, Parenting and tagged American Girl, every woman blog, Famously Hot, Leah Prescott, Midlands, South Carolina by lexingtonmedicalcenter. Bookmark the permalink.